Included in the Business Entry Kit is a free Access for one year to your BackOffice and your Pro Replicated website. 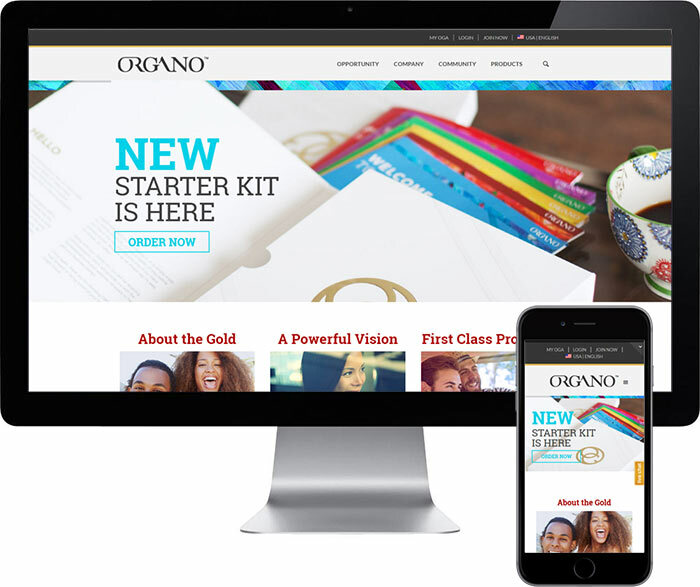 * ORGANO™ Distributor Pro Replicating Website page and Business Entry Kit shown. Actual business tools may change from time to time. ** The ORGANO™ Distributor Business Entry Kit will vary depending on different countries and/or regions. Please check with your Sponsor for more information. ** Actual income will depend on the amount of time and effort an individual devotes to their business. It is illegal for a promoter or a participant in a trading scheme to persuade anyone to make a payment by promising benefits from getting others to join a scheme. Do not be misled by claims that high earnings are easily achieved.